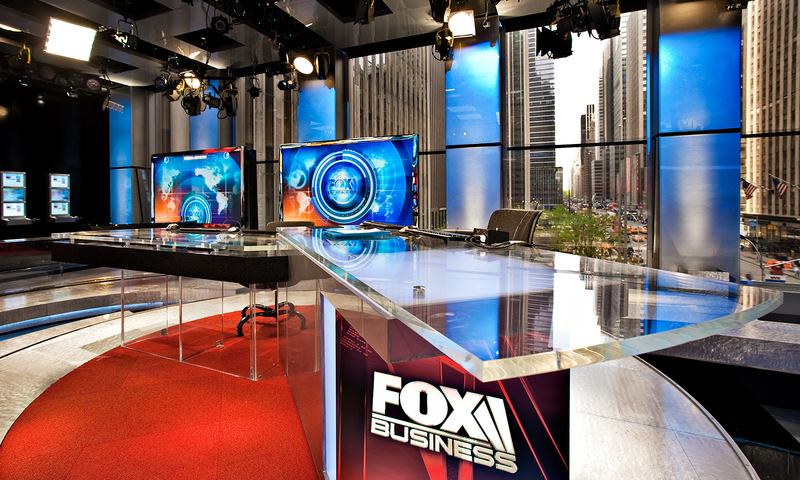 FOX Business News Studio G sits atop the Charles Schwab building on New York’s Avenue of the Americas at 52nd Street. 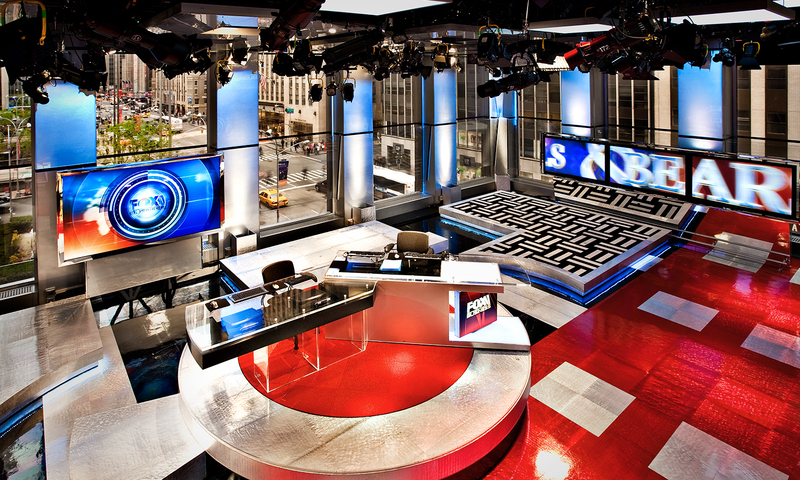 With full-height windows, the studio is highly visible from street level and features displays that can only be seen from the exterior. 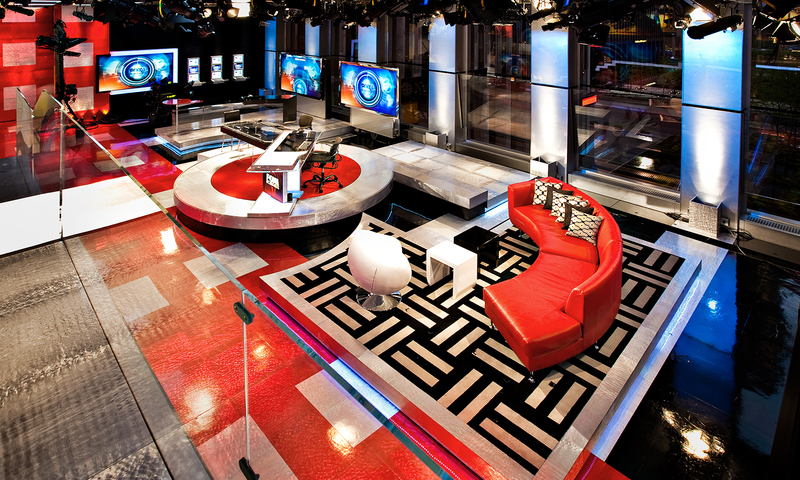 This transparency champions the spectator, connecting the studio to the viewers. The connection works in the other direction as well, as the exterior becomes part of what is seen on camera.